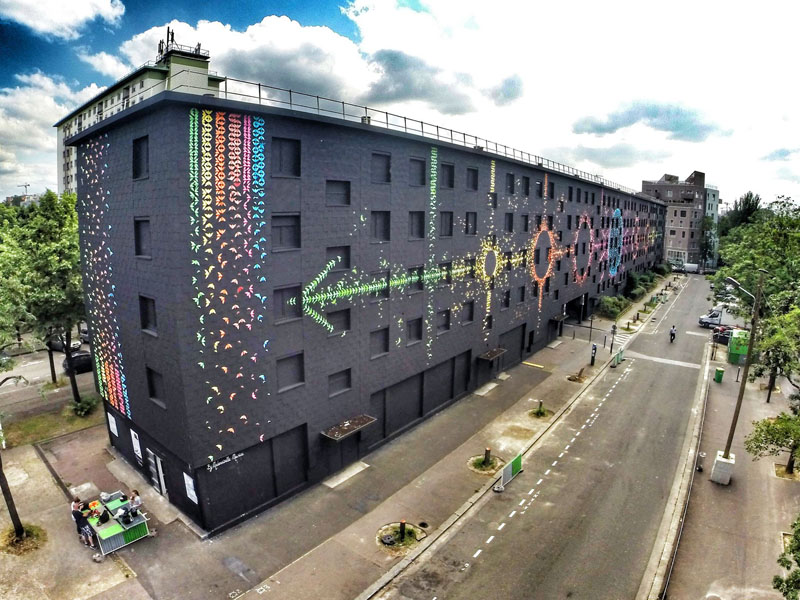 Mural in Paris is made of 15,000 Origami Birds #ArtTuesday « Adafruit Industries – Makers, hackers, artists, designers and engineers! A couple of months ago we shared some of the colorful origami installations done by French urban artist Mademoiselle Maurice. 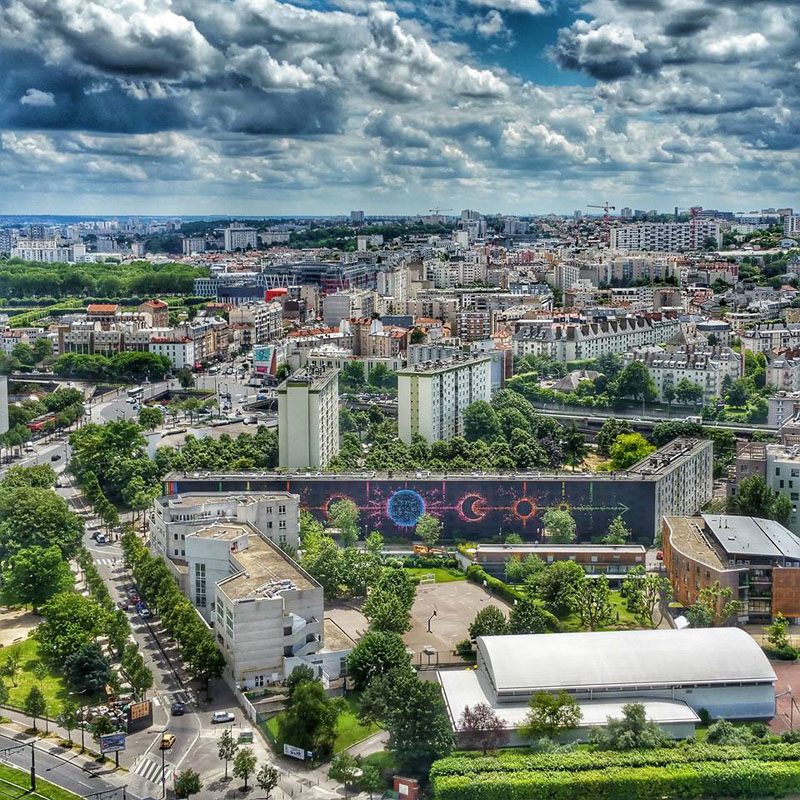 Today we’re sharing her latest piece – the largest urban mural to ever be created in the city of Paris. “Lunar Cycles” is a 49 foot (15m) high and 459 foot (140m) long mural covering the side of a building in the 13th arrondissement of Paris.